With the goal of creating the most exclusive hostelry experience in Malta, the first of a collection of hotels from the Forbidden City Hospitality Group, Cité Privée Maison Malte will cater to discerning international clientele and locally based Maltese alike. Functioning as a by-invitation-only Club, the Maison sits a stone’s throw away from the super yacht marina on a secret and silent street with no cars. 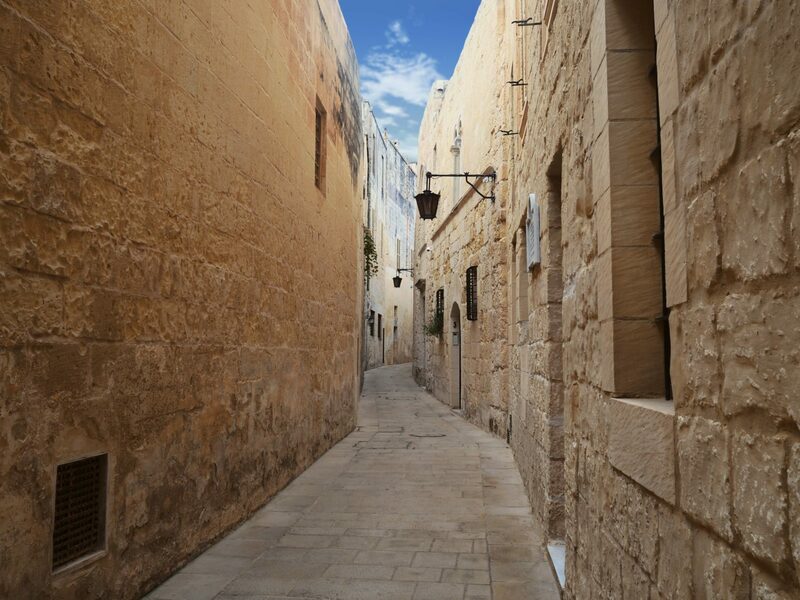 Abutting to an ancient monastery, guests will have a perfectly curated Maltese experience that not only envelopes them in local culture whilst at the hotel but begins long before their aircraft arrives on Europe’s Southernmost republic. Personally taken care of, discreetly looked after and handed a real life experience on a locally made silver platter defines our service concept. Each guest of our chic chambres d’hôtes masterpiece is to each their own masterpiece, painted with different colors, each on a different canvas. Like art, the treatment of our different clients is inherently varied. Our job is to make sure that what they see and do what makes them feel the best while they are with us. We present a value proposition unsurpassed on the islands of Malta: whether we assist our guests & members with continuing their Ayurvedic diet, savoring a rare whisky in the subterranean club room, enjoying a sunset outdoor spa treatment by their private pool, or even dining on secluded Gozitan beach served by our handsome butler, we allow our guests to live, enjoy, and experience Malta under the gaze of a world class, warm, attentive and sense focused approach to hospitality. Having lived our guests lives from their perspective, we train our team to live in their shoes too and deliver service and experience that are nuanced in nature. This is a luxury easily understood through simplicity and enjoyment of ethereal and fundamental elements of life itself. The interior and exterior remodeling, lead by Privé Luxury Group’s Creative Director, Kevin Kay, creates a mirror image of our guests’ expected and desired experience in Malta. Taking into account the need to incorporate local flair and to respect local custom, he has worked carefully with Luqa based Maltese architect, Christian Buhagiar, and engineer Jordan Cutajar. Answering to the demand of pragmatic, clutter free and sensual luxury, Kay will use poured terrazzo laced with sea colored chalcedony to create built in furniture consistent with the stone work of the existing structure and the overall color scheme of Malta’s urban landscape. Forbidden City® Belgian linens and Italian crafted fabrics in discreet color palettes envelope rich cushions sitting atop the poured furniture. Select pieces, such as desks, ottomans and cocktail tables were designed by Kay exclusively for Cité Privée and in cooperation with MSE Editions, lead by the highly decorated Marta Sala of Milano, will see their first guests in the property. The Club can easily accommodate exclusive buyouts beyond the course of regular business. Each floor houses two guest rooms, with the exception of the roof level, which takes the form of the top level suite, replete with its very own swim in place private pool. The suites are across the floor landing from the superior rooms, making the larger suites and their sister superior rooms perfect for families or for those traveling with staff. The ground floor suite, situated directly above the Club Whisky Bar, features its own private entrance and is perfect for clients who demand secrecy and utter discretion in their travels. Individually designed to take advantage of the Moroccan riad like views and reflected light from the windows, the interior fit-out is chic, discreet and bespoke. The calm monochromatic terrazzo mixed with the structure’s existing limestone walls flows into rich handmade wood closets and back into the terrazzo poured beds. Smoked gray mirror trim finishes the accents in each suite, all guarded by triple thickness doors and windows. No Maltese stay would be complete without a visit to our Forbidden City® Spa featuring Swiss formulated Creating Longevity® and SkyLab® anti-aging products. Situated on the lower ground floor, our specially trained aestethicians await our members and guests, whilst also performing services on private yachts situated in the marina below. Taking into account the most important aspects of Spa design and following the Forbidden City lifestyle concept familiar to our clients, the indoor/outdoor area takes full advantage of the Maltese climate and incorporates it into the free flowing experience expected by our guests. Ingeniously designed, the outdoor Spa area is composed of a poured terrazzo Vichy shower on one side and balneotherapy pool on the other, with both units separated by a built in fire place and secret Summer Palace inspired windows facing the garden of the monastery. Indoors, the changing room, toilet, and steam/shower/sauna and massage and technical facial treatment center replete the enchanting experience. Opening late summer of 2019, Forbidden City’s Club Cité Privée Maison Malte will be the last word in luxuriously discovering Malta, the EU’s smallest country.